Since we have moved into our new place we are looking at planting our own orchard. I wanted to get some apple trees, among other fruit. I have seen cases where too many apples results in attracting unwanted wildlife or other obvious issues. 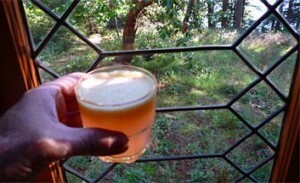 I ran across a great article that explains the art of juicing to help save those half bad apples. “As anyone who has fruit trees knows, a lot of fruit goes to waste. Woodpecker holes, worm holes, bug damage and bruises occur on a considerable portion of the harvest. Imperfect fruit will not last in storage and can ruin other fruit it is stored with. A great way to avoid this waste is to make your own juice. Full Story here on Eartheasy!